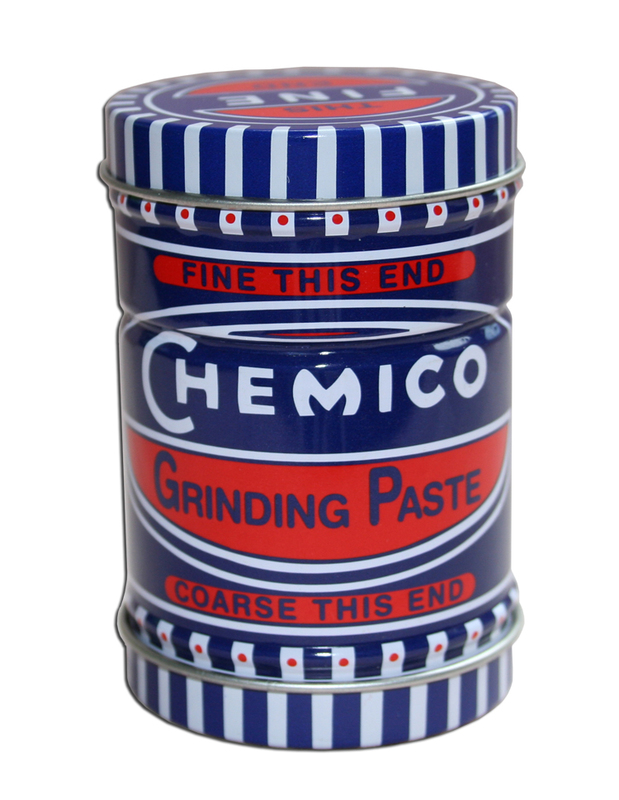 Chemico Valve Grinding Paste Double Ended has been popular for many years with both auto enthusiasts and repair workshops, providing a handy supply of a coarse grinding paste to cut and fine grinding paste to finish. Chemico Valve Grinding paste has a lithium grease base, specifically formulated and manufactured solely for Chemico Sales & Overseas Ltd. It has inherent shear stability, that is the lubricant remains in place during the grinding operation for the most efficient grinding, together with inherent corrosion protection and good sealing properties. Silicon carbide is one of the hardest abrasives known and the particles are especially sharp. Moreover they are brittle and tend to break up into smaller particles that still retain their sharpness and so continue to work efficiently. Use for grinding, lapping and seating valves in automotive, agricultural, garden and marine engines and for oilfield and other general engineering applications. Always consult manufacturer’s handbook/manual for instructions and follow these carefully.